Mr. Kabir Bin Anwar has taken charge as Secretary of the Ministry of Water Resources and Chairperson of the Board of Trustees of CEGIS on 22 March 2018. He is an innovative thought provoking practitioner of good governance in the arena of sustainable development. 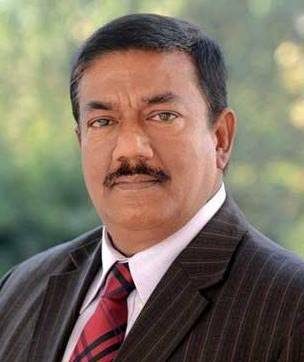 Being his long time acquaintances with the Prime Minister’s Office as Director General, Administration and Project Director, Access to Information A2i Project, he has got the visionary guidelines and earned dynamic leadership capabilities in leading the implementation of strategies and programs for a prosperous digital Bangladesh. He inherited in his soul as a people and country loving enthusiasm by birth from a renowned and noble Muslim family from Sirajganj. His both maternal and paternal history towards organizing liberation war and as literature laureate is notable and triggered to Mr. Kabir become a heritage discoverer. His father Mr. Anwar Hossain is a freedom fighter and a businessman by profession who is actively involved in many socio-organizational activities. His beloved mother Mrs. Sayada Isabela was an active organizer of the historic event of the War of Liberation. Moreover, she was a teacher and litterateur who has authored 22 books. Renowned Bengali writer & poet Syed Ismail Hossain Siraji a relation inspired his interest in culture and literature as a family tradition. His grandfather was a lawyer and graduated from Kolkata. His spouse Toufika Kabir is the anchor and source of all his charity works. He is blessed with one son and two daughters. Mr. Kabir Bin Anwar completed his schooling and intermediate education from Residential Model School & College, Dhaka. He obtained his master’s degree in Political Science from the University of Dhaka and also awarded LLB degree. In his long colorful and successful service career he shouldered many important responsibilities in the field administration as well as in the central tire of Bureaucracy. The important assignments he shouldered as First Secretary in the Embassy of Bangladesh, The Hague, Netherlands /as Senior Assistant Secretary in the Finance Division and as Senior Assistant Secretary in Ministry of Home Affairs as Deputy Secretary. In addition to that Mr Kabir is also performing outstanding role as the Project Director of the Access to Information (A2i-2) Project/ Head of Implementation and monitoring committee of the Asharayan -2 Project)/ Head of the inter-Ministerial Committee to provide Development Assistance to the Minor Ethnic Community. Currently he is the playing the role of Secretary General of Bangladesh Administrative Service Association, Chairman of Bangladesh Yoga Federation, General Secretary of Fazlul Huq Muslim Hall Alumni Association which is the oldest hall of Dhaka University, Chairman of National committee on Health Affairs of Bangladesh Scouts and deeply connected with many environmental and humanitarian organizations. Above all he is a nature lover and devoted his valuable time in observing and documenting the natural, cultural and archeological features and heritage with passion and dedication. He is the founder of Isabela Foundation. The Foundation is working for biodiversity conservation, sustainable development and charity through implementing a numbers of programme and projects. “Quest for Sea and Life” is one of such programme. Mr. Kabir is an adventurous and courageous man he who taking challenges in discovering the wildlife and nature’s unexplored arena through expedition in Ocean, Mountain and Forest.